Yesterday, the EHF and its sister organisation the International Humanist and Ethical Union, in collaboration with their Greek member organisation, the Humanist Union of Greece, drafted a letter to call on the Greek authorities to grant asylum to Mr. Karrar Dwood Hamza, a well known Iraqi atheist who is in danger of persecution and even assasination. 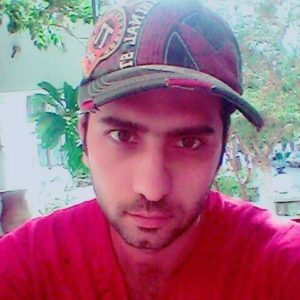 Mr. Hamza arrived in Greece on 31 August 2017 and his arrival was registered on 4 September 2017. The International Humanist and Ethical Union (IHEU) and the European Humanist Federation (EHF), along with their Greek member Humanist Union of Greece (HUG), are herein strongly supporting the asylum application of Mr Karrar Dwood Hamza. He is born on 20 February 1987 and his case file number is 56,211. According to the information he provided, he arrived in Greece on 31 August 2017 and his arrival was registered on 4 September 2017. Mr. Hamza comes from a Muslim country, Iraq. He is a well known atheist activist, with Arab Atheists and the Forum for Humanitarian Dialogue, a Facebook We are aware of his activities to promote the right to freedom of belief and expression in the Middle East and North Africa, and to combat Facebook’s censorship of Arab atheist pages. We have received credible reports that he had been invited to speak at a July 2017 International Conference on Freedom of Conscience and Expression in London, the largest gathering of ex-Muslims in history, but, regrettably, hisvisa was denied. Soon after that, he was forced to flee Iraq because of several serious threats to his life, probably ensuing from the knowledge of this invitation. Such threats are a recurrent phenomenon in countries like Iraq, where “apostates” and atheist activists are victims of constant harassment and risk even assassination by Islamists, while governments there are unwilling and/or unable to guarantee the security and in the end the life of such activists. For those reasons, there is credible danger of persecution or even assassination of Mr Hamza in Iraq. We therefore urge Greek authorities to grant him asylum and protection. We thank you in advance for your consideration of our appeal.